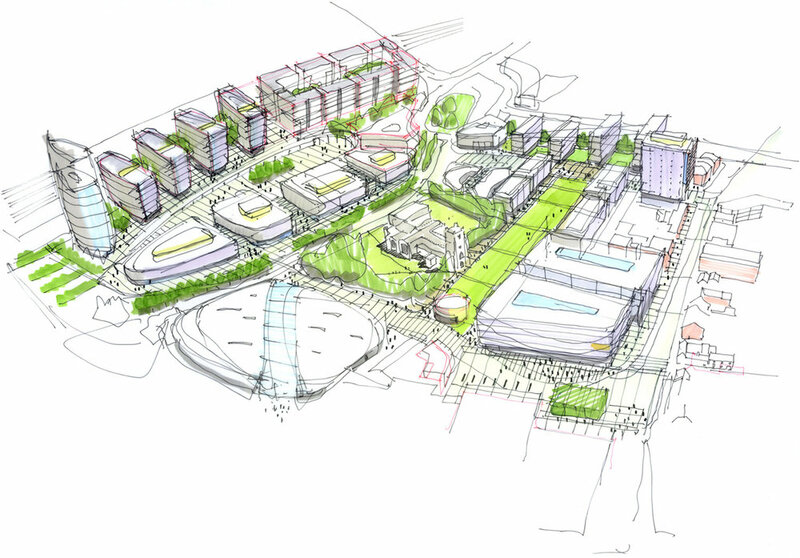 The Masterplan for the University of Bedfordhire’s Park Square Campus in Luton, completed in 2007, sets out a clear, long-term strategy for comprehensive redevelopment within the wider regeneration proposals for the town centre. Extensive stakeholder consultation was carried out to capture ideas and aspirations. Various formats, from informal group sessions, through public exhibitions to a formal ‘values’ workshop were used to ensure that a broad spectrum of input was achieved. The underlying principles reflect the need to increase access, provide a better social infrastructure, make stronger connections between buildings, improve the public spaces and transform the identity of the University within the town centre context. The framework has now been in place for a decade and has effectively guided five completed phases of redevelopment – the sixth is currently on site in the form of a new STEM facility.